Americas Best Value Inn Ashtabula/Austinburg offers clean fresh comfortable rooms at an affordable rate. All rooms include secure electronic keycard entry-individually controlled ac/heat units-24-hour front desk service-deluxe cable TV-hairdryer-iron and ironing board-desk-alarm/clock radio-free local calls and wake-up service-the convenience of a mini-fridge available upon request-on-site coin-operated guest laundry-fax and copy service. Stay connected with free Wi-Fi and start your day right with a free continental breakfast. We are located just north of I-90 at Exit 223 in Ashtabula County-Ohio. When looking for comfort-quality and service and a friendly staff to serve you-you will find it at Americas Best Value Inn Ashtabula/Austinburg-Ohio. 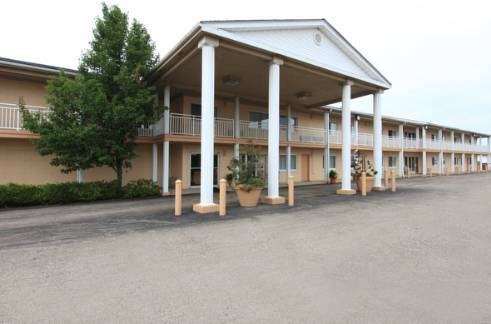 Americas Best Value Inn Ashtabula-Austinburg is located on Ohio State Route OH-45N at Exit 223 and I-90. Our address is 2352 State Route 45 North- Ashtabula- OH 44010. On the campus of Youngstown State University. Has an iron lung and a 19th-century amputation kit among its many exhibits. A dead Revolutionary War general was dug up and boiled in a big pot. Replica's of the general's floating bones spice up the display. A replica blockhouse containing exhibits about a Revolutionary War general. Stands at the spot where some of him is still buried. Shaped with the now-familiar radar-evading contours of the modern air force. Known (by its owners) as the "World's Coolest Toy Store." Well done.